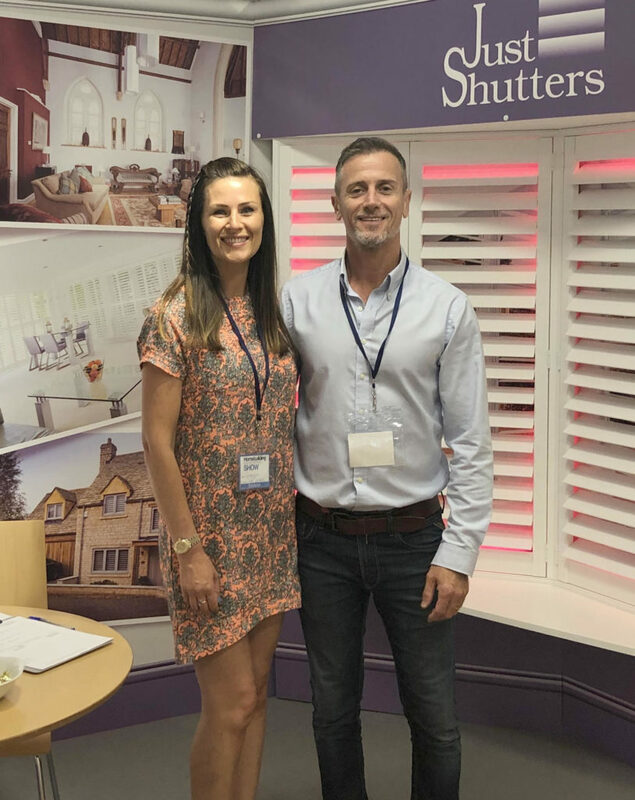 Esher plantation shutters; made to measure shutters, designed and fitted by our Just Shutters local Esher experts; husband and wife team Georgina and Simon Broadhurst (pictured right)! Call us on 01932 500270. Alternatively, please use the links below to book a home design visit or download our brochure. Situated on the River Mole, Esher is surrounded by unspoilt, rural countryside, whilst also being a commuter’s dream as only 20 minutes by train from London. Esher is a haven for outdoor pursuits including horse rising, walking and bird watching. 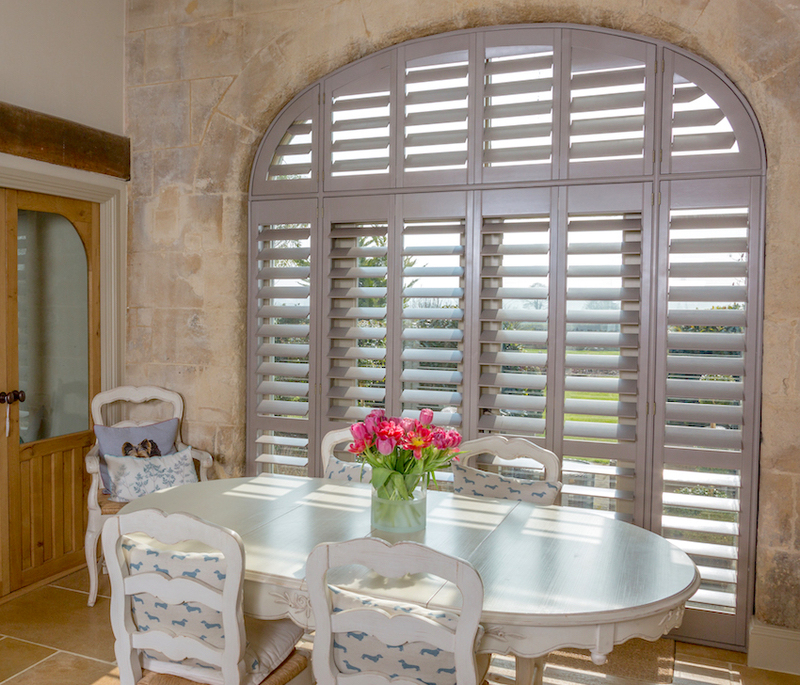 And with views like these you will want to make the very most of your windows with our beautiful shutters. Historically, the village developed due to being on the London to Portsmouth coaching route and became wealthy in the 16th Century, when commandeered by Henry VIII as a hunting ground. Furthermore, many historic buildings are still in evidence including Grade I listed buildings, Tudor cottages and the stunning St George’s Church which overlooks the quintessentially English village green in Esher. What is more, Just Shutters have a wealth of experience working on homes from every era, including listed properties. So, whatever your home’s age and style we have the expert knowledge to make the very most of it. An increasing number of homeowners in Esher are seeking plantation shutters from Just Shutters. We are your local shutter specialists. Shutters are a highly versatile option for your windows and doors and offer a wide array of benefits whilst offering a stylish and sought after aesthetic.sizes. Our incredibly versatile window treatments complement any house and decorating style and Esher homeowners are turning to Just Shutters Surrey as the experts in their field. Just Shutters offer the finest product in the world, which comes with a lifetime guarantee and our renowned exemplary service. Believe us when we say not all shutters are the same. Please do telephone 01932 500 270 to discuss your plans with our team and book your no obligation home design visit. We have fitted thousands of plantation shutters and have reviews from all of our delighted customers to show for it. Just Shutters have a 9.9/10 rating on CheckaTrade, any regularly receive further orders and recommendations to friends and relatives from our happy customers. We are proud to share with you some testimonials left by Surrey customers from impartial source checkatrade. Please call us on 01932 500270 or follow the buttons below and we will be delighted to help you further. You may also like to see: Shutters Kingston, and Shutters in Surrey.